Media businesses today juggle a lot of C-suite acronyms. When it comes to tech-related execs, there are established staples like the chief information officer (CIO) and chief technology officer (CTO). However, in recent years we’ve seen the emergence of the chief digital officer and chief data officer—two titles that share an acronym but can have distinctly divergent duties. Yet all share a common purpose: using technology to aid operations, increase revenue, and outpace the competition. In the world of digital media, those are some big responsibilities, especially today, when artificial intelligence, machine learning, neural networking, and analytics increasingly perform more of the heavy lifting involved in marketing and sales. Folks in these positions are at the forefront of the new technologies and innovations implemented by a media business. Yet they often aren’t the ones you read about, as presidents and CEOs commonly get the lion’s share of quotes and media attention when such matters are reported on. However, spend just a little time with a CTO or CDO and you quickly get a sense of how stimulating and forward-thinking their jobs are as well as how in tune they have to be with the latest tech trends that will shape and impact companies pushing content for a living. Case in point: Jess Szmajda, Axios’ recently hired CTO, who’s been brought aboard to help the enterprise build its paid product offerings. Szmajda’s got boundless energy and enthusiasm, but she’s also got a lot on her plate. Not every media property is alike, however, which means that the tech chief’s role can vary, depending on the company. Take, for instance, Joe Simon, Vice Media’s recently enlisted CTO. Szmajda notes a common misconception about CTOs—that their main objective is to advance technology for technology’s sake. A media player’s CDO, on the other hand, often has a wholly different set of duties. Consider Mike Smith, chief data officer for Hearst Magazines. He’s charged with managing strategy and ongoing development of the firm’s digital advertising operations, data capabilities, and ad product offerings; Smith also supervises CDS Global, a Hearst division that delivers outsourced business solutions across various industries. Smith’s challenges include educating the data scientists who work for him about how advertising works and trying to satisfy advertisers who expect the data richness inherent in a Facebook ad. Simon, meanwhile, faces down other types of complications. “The media industry is going through some pretty big and disruptive changes, and Vice is right in the middle of it. Audience tastes and consumption patterns are all changing, and we need to evolve with those changes—all while focusing on current and expected revenue,” he says. While the obstacles vary by position, there’s one thing all three of these pros can agree on: The job comes with rewarding perks beyond the paycheck. “I’m very excited about new distribution options, and I’m fascinated by the diverse and evolving consumption options for our audience. These new opportunities give us a chance to change our business model and offer new products,” Simon says. As for Szmajda, she’s excited about the prospects of pushing her company forward—in more ways than merely technological. 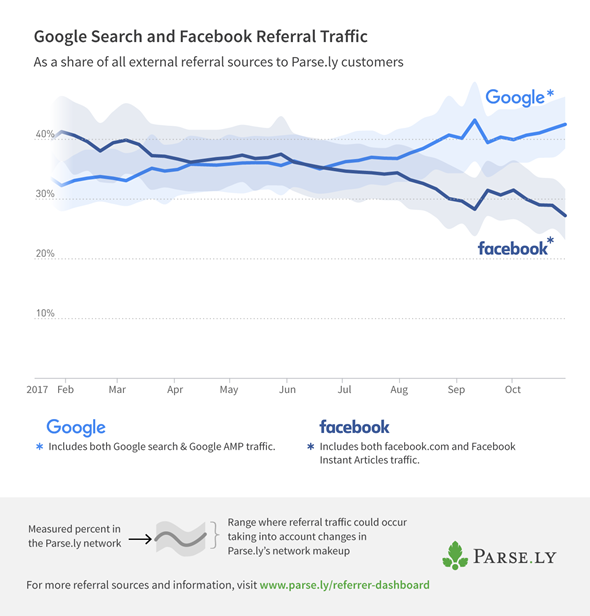 Though sometimes it seems like we’ve been talking about it forever, Facebook became a leading referrer to publishing websites only in mid-2015, according to Parse.ly data. Around that same time, other news broke that was poised to impact traffic drivers: Google officially launched AMP. Today, the two news stories again converge. 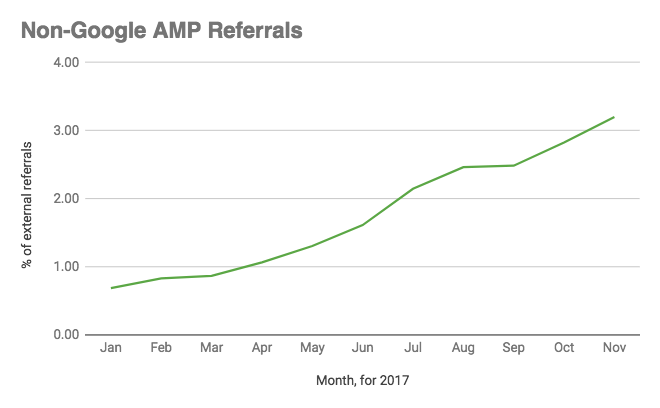 We’ve seen Google take the “referral king” crown back, with Google accounting for 44% of traffic to our network, and 12% of external traffic to media sites specifically coming from Google referrals AMP pages. While these numbers point to a fairly big success for AMP so far, multiple causes likely contribute to the big picture numbers. Some of this shift to of referral traffic back to Google, AMP or otherwise, may be result of user preference for broader sources of information. Digital Content Next’s recent research showed that consumers have low levels of trust for news they get via social media, which could be a contributing factor. And perhaps the decline in Facebook as a primary driver of publisher traffic reflects Facebook’s desire to keep people in their app to try get a grip on the shifting tide of awakened media consumers. However, it definitely shows the success of Google’s ability to sell AMP as a non-proprietary solution, versus Facebook Instant Articles. In short, development work done for AMP isn’t constrained to one audience or platform. Our research on referral traffic to publisher websites shows that the additional benefits may be mounting. Adoption of AMP, it seems, has not just been embraced in Google searches but more broadly across the web. Over 3% of visitors to our publishing network visit through AMP off of Google, from sites like Twitter, Pinterest, and LinkedIn. For context, all of Twitter’s referrals to publishers’ websites only accounts for 2.5% of total external referral traffic. Whatever the cause, for publishers still considering the adoption of third-party distribution channels, or considering their continued support in 2018, understanding these numbers for your site and for the industry should play a role in decision making. Audience acquisition, engagement, and retention through them becomes not just an editorial strategy, but a product development one as well. The idea of the “Attention Economy” as a currency on the internet goes back to at least 1997. So, 20 years later, we should have this engaged time metric figured out, right? From a technological perspective, we do. We can accurately measure the time a reader spends actively reading a page, versus measuring how long a browser tab was left open with a page. Ads can measure engagement or time spent viewing. However, we need to separate the technical ability to measure engaged time from the adoption of the metric as a valuable evaluation construct. Has the reality on the ground changed when it comes to using time to understand an audience? We attempted to answer this question by partnering with Digiday’s CUSTOM studio on a research survey. Based on responses of almost 300 members of the Digiday audience, engaged time has gained a great deal of traction with journalists and reporters. Time-on-page (the broader term we used in the survey questions) ranked the highest for what people use to evaluate their own work. 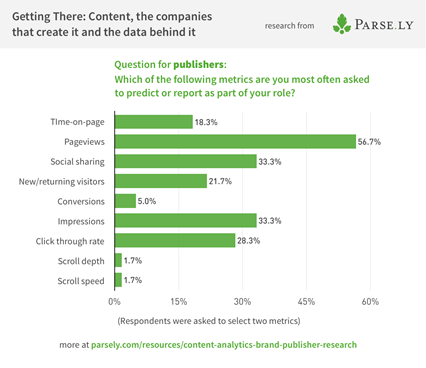 If you interpret this chart another way, it indicates that 50% of people working in publishing see time spent with their audience a personal goal for their work. However, we also asked about which metrics people were responsible for reporting back to their company. When asked this way, time-on-page dropped to the sixth position – out of nine total choices. While individuals may understand and value time-on-page as a way to show that an audience cared about the work of a piece, organizations are still prizing pageviews, impressions, and social sharing. The disconnect between these two sets of responses emphasizes the gap between how writers view their relationship with their audience and that relationship’s value to the business. If the writer’s goal is to engage the reader, but the business still makes money from impression numbers, how can those two align? The right vs wrong metric mentality. Conversations need to stay away from “the right” metrics and lean more towards what success means. Employees want their work to be successful; focus on that first and then connect the metrics to how to get there. A lack of expectations and benchmarking. With new metrics, you have to indentify the status quo in order to tell if something is performing better or worse than expected, or to show improvement over time. For metrics that aren’t as intuitively understandable as pageviews or visitors, what kind of benchmarking or expectations can be set? Over the coming years, which organizations will ensure that the goals for their audience relationships, employees’ work and business models will align? And which will be able to adopt time as a measure of how their audience values the work they do? I suspect we’ll be able to tell soon enough. The full research cited in this article can be found on Parse.ly’s website. More content is being produced and consumed than ever before. However, one of the biggest obstacles to success for publishers today is the inability to fully understand the value of their content. Yes, publishers are getting more and more data. But with so many different types of ads, targeting, and decision-engines running on a publisher’s site, the revenue generated from a piece of content has become impossible to retrieve beyond general averages. In fact, as we have previously noted, most publishers merely settle for what’s available (averages) rather than what’s needed (real-time values). However, as we all know, a data-driven business cannot run on averages. That would be like trading stocks based on the average over the past week while someone else is trading based on precise real-time values. Add to this the silos between the editorial and ad ops and you have an ad stack and content stack that don’t talk to one another. So, how can publishers harness bridge these gaps and work smarter? There are three significant opportunities for publishers in this challenging landscape. Those that tap into these will be empowered to do more than simply survive. They’ll have a competitive advantage. Data should be the glue that connects publishers to their audience. It should enable them to serve more personalized content and enhanced user experiences, so they can better compete with social media platforms. Data should flow between publisher Data Management Platforms, network insights, and 3rd party data providers via APIs. This enables publishers to connect their content with their user and deliver customized experiences based on content type, device and location. Lastly, publishers need to understand revenue from all sources in a single dashboard, not as individual boxes on the page. Once publishers have access to these insights, they can further optimize to the correct partner, referral source, or set of specific pieces of content to maximize additional revenue. Simply adding more paid links as a way to generate more revenue is sure-fire way to disappoint users, while being counter-intuitive to the principles of yield optimization. Partners with expansive network insights as well as multiple paid relationships and networks can help publishers meet revenue goals. This model has played out over the last decade, beginning with display and evolving over time to include native, sponsorship, ecommerce and even off-platform distribution. However, the majority of publishers have not yet brought those revenue sources together into a single, manageable view to that they can take direct actions that are maximized for each piece of content. Connecting content with revenue allows publishers to understand how much RPM value their Facebook referral traffic is delivering compared to all of their other sources. Yield teams can understand which partner delivers the most value. Audience development teams can launch campaigns based on feedback from ad operations about under-delivering sponsorship campaigns. Executives can see how revenue goals in real-time, all based on the connection between revenue and content. Publishers must break down the walls that are typically built up between revenue and editorial teams. Real-time insights allow them to personalize the content experience, while also considering the value of each piece content. It is clear that publishers need to leverage the appropriate tools and strategies to achieve this level of insight and opportunity. 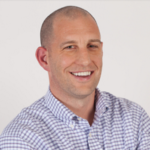 D ennis Yuscavitch has spent the last several years creating and launching new product, most recently with Outbrain as director of product marketing. When he’s not making publishers and advertisers happy he’s often coaching his local youth soccer team. The consummate early adopter, you can find him online @dennisy or via LinkedIn. To state that marketers continue to be challenged by the ever-expanding digital marketing ecosystem is neither pejorative nor insightful. Indeed, the marketplace is aggressively evolving, as evidenced by both the sector’s growth—20%+ growth last year (IAB) and its prediction to overcome TV advertising this year (eMarketer)—and the number of vendors rushing to get in on the action (the ad tech market increased to more than 3,500 in 2016 from about 2,000 the previous year, according to Scott Brinker at ChiefMarTech.com. Marketers are spending more than ever on the digital channel, and there are a plethora of vendors competing to ostensibly help these marketers spend their budgets more efficiently. Thus, as the saying goes, “If you aren’t confused, you aren’t paying attention”. But it’s the job of think tanks like Forrester Research to help their clients sort through marketplace complexities and make smart decisions to help their organizations succeed. And it’s with this goal in mind, the firm recently published “The Forrester Wave: Marketing Measurement & Optimization Solutions, Q4 2016”. Chock full of recommendations for B2C marketing professionals, who are seeking to stretch budgets to the limit and outmaneuver competitors, this study provides analysis of companies that provide analytics and measurement solutions. The report is based on an examination of 10 vendors and surveys with 77 marketing professionals. Undisputed: Consumers are interacting with brands in varied ways. The report emphasizes this new market reality by explaining “Empowered consumers easily absorb information from all forms of media and multiple devices, and hey comfortably straddle the digital/traditional media divide”. While this new reality presents marketers with many new channels to engage with prospects and customers—a good thing—it also makes performance tracking increasingly difficult—a big challenge. Undisputed: Marketers are under more pressure than ever to be accountable for their budgets and demonstrate ROI. The rise of digital advertising, which will account for nearly 50% of total marketing budgets in a couple of years, has mostly been a boon for marketers, with one glaring exception: scrutiny. Since its very early days, major industry players have been touting digital marketing for its ability to be “100% trackable”. So it comes as no surprise that “today’s complex marketing environment challenges marketers to meet the C-suite’s demands for accountability.” And the right measurement solution can solve this potentially massive headache for CMOs. Undisputed: Marketers require strategic advisory partners that can help them make sense of data and act upon the analysis in meaningful ways. Translation: while vendors need to be able to tout quality technology and toolkits, it’s more important for them to be able to offer consultative support, to help clients “interpret model results” and to “provide recommendations” based on the analysis. To Be Determined: The Realistic Viability of Unified Marketing Impact Analytics (UMIA). The UMIA methodology—coined by Forrester in this study for the first time—involves combining traditional techniques such as marketing mix modeling and digital attribution into a single technique. While Forrester reports high customer satisfaction from this study’s survey respondents that manage such an environment (about 40 in total), we think the sample size is too small today to make a blanket judgment about the approach. Though the concept is certainly appealing, many industry experts consider it to be at best too raw, and at worst not applicable: “It’s like using the same assessment metrics to measure the performance of a jet plane versus a row boat…it just doesn’t make sense”. 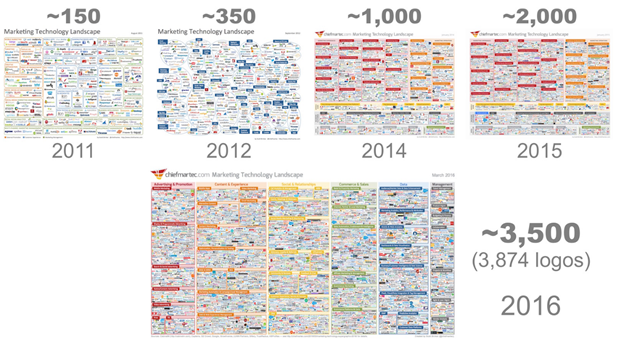 To Be Determined: The Impact of New Entrants, Big Players & Market Consolidation. It’s notable that the only widely-known brands included in the Forrester study are the result of acquisitions: Google/Adometry and AOL/Converto. In the face of rapid growth over the past decade, brands have been racing to adopt and integrate the digital channel, not necessarily optimize its performance.The reality is that for all its real and perceived flaws, the digital channel remains more cost effective than alternatives in most industry sectors. As more and more dollars are allocated to digital, and more attention is given to performance optimization, it’s likely that new entrants will impact the sector—think Facebook, Adobe, etc.—and given the dearth of any category killers today, the marketplace could look very different in 24-36 months. Nearly all newsrooms monitor digital metrics, but many miss out on opportunities to learn from the data they collect, according to a new survey of news editors and directors by the Engaging News Project at The University of Texas at Austin. Overall, 87% of news organizations monitor website metrics like page views or unique visitors, according to the survey of 525 editors and directors from U.S. newspapers, television and radio stations and news websites. 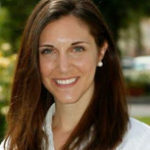 “Almost everyone is doing monitoring,” said Talia Stroud, director of the Engaging News Project. But in many newsrooms, that’s where analytics work stops. Few news editors and directors report using the data they collect to actually help solve newsrooms problems — around audience engagement, page design or revenue development, for example. For the most part, that’s a missed opportunity to draw useful lessons from analytics. “The part to me that was just so interesting, there’s a use of these metrics, but not the second part, testing, learning,” Stroud said. The Engaging News Project survey asked about two common strategies for improving audience engagement: A/B testing and partnering with researchers. Television stations are the most likely to employ both strategies. The survey found 55% of television stations partnered with researchers, and 24% used A/B testing. 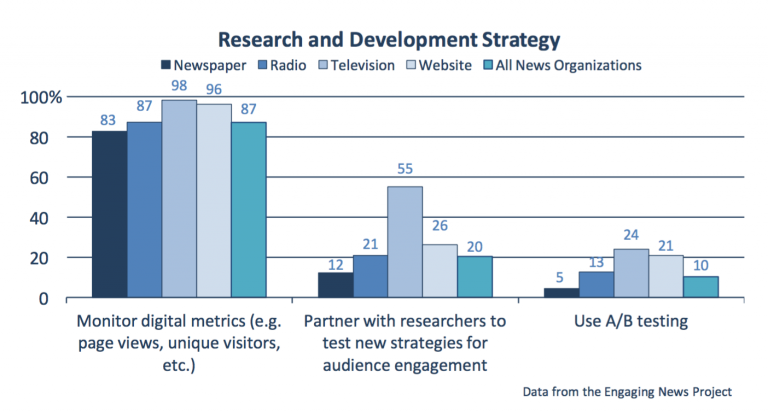 On the opposite end, just 12% of newspapers partnered with researchers and a meager 5% employed A/B testing. They survey allowed respondents to self-identify the medium, such as newspapers, that was the highest priority for their news organization. “For several of these practices, we think that there’s a lost opportunity. For A/B testing in particular, the use of this practice can help to inform newsroom practices based on audience preferences. Stroud pointed out that a high percentage of survey respondents, including editors and publishers, couldn’t answer whether or not they were using A/B testing. That suggests to her an opportunity as well as a need for further education. “There’s a lot of work to be done to show what the benefits are,” Stroud said. Newsroom culture and technology both present hurdles. The study isn’t a representative sample, Stroud cautions, but as a snapshot of newsroom practices, it’s a useful data point for researchers. 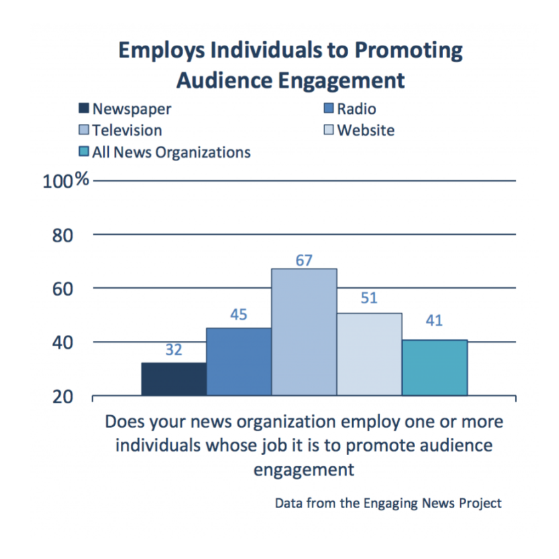 Between four and six in ten newsrooms has an audience engagement person on staff. The job titles for that role are anything but consistent, reflecting the gray area in which engagement staff often work. The three most common titles — audience development director, engagement editor, and community editor — make up just 46% of the total. On the other hand, more than one in ten news organizations surveyed — and 17% of newspaper newsrooms — didn’t report monitoring website metrics at all, perhaps a result of the survey sample, more than half of which were newspapers with fewer than 25,000 weekly circulation. Researchers from the Engaging News Project have worked with real newsroom data before, from the influence of clickbait headlines to an analysis of 9 million comments from the New York Times. Stroud’s advice to newsrooms that aren’t yet working with researchers is to simply reach out, especially if there is a university in your market with a journalism or communications programs. And come prepared with questions your newsroom has, she said. Not every newsroom problem will be of interest to researchers and what researchers are interested in may not solve immediate newsroom problems, but there will likely be a sweet spot in the middle. “What questions does your newsroom have? Bring those to the table, say ‘What do you think?’” Stroud said. The full Survey of News Editors and Directors can be found on the Engaging News Project website, along with more of the team’s news audience engagement research. Jason Alcorn (@jasonalcorn) is the Metrics Editor for MediaShift. In addition to his work with MediaShift, he is an analyst with the Media Impact Project and works as a consultant with non-profits and newsrooms. This article was originally posted on MediaShift, the premier destination for insight and analysis at the intersection of media and technology. Follow MediaShift on Twitter @mediashiftorg, or check them out on Facebook and subscribe to their email newsletters. News organization everywhere are competing for attention. In a continuously changing media environment, journalism is challenged more than ever before to connect to its audience. In its report, the Digital News Project 2016, Reuters Institute examined how news organizations, across Europe and the United States, analyze their audience’s behavior in order to inform and develop their editorial voices. The Guardian and The Financial Times, both subscription-based business models, developed proprietary metric tools. The Guardian’s real-time analytics tool called Orphan offers minute-by-minute data on individual articles like pageviews, social shares, and attention-time for each article published in the last two weeks. Orphan can also show whether the article has been pushed via the Guardian’s social media channels and/or if it was promoted on the homepage. The data can also be broken down by different segments, such as time, section, device, browser, country, referrer, loyalty, and attention time. The editors can use this data to inform decisions on headlines, pictures, placement, and how to promote across social media channels. Similarly, the Financial Times’s is developing a dashboard for its analytics called, Lantern. The Financial Times see editorial analytics as a step to its newsroom and its reporters being audience-first journalists, integrating engagement objectives into the editorial process. The tool will focus mostly on engagement-related metrics such as time spent, recirculation, volume of articles read per visit, and number of comments. Chartbeat known for real-time analytics that focus on audience attention. Its dashboard advices on homepage structure and helps to refine headlines and formats. Editors can modify content in real-time. Ly tracks in real-time as well and helps to identify topics audiences have responded well to in the past as well as where readers are coming from, where they’re headed next and on what devices. NewsWhip is also a real-time tool that offers social media tracking like tweets, shares, and comments. It also allows newsrooms to monitor what stories are trending and breaking news. In addition to Chartbeat, Parse.Ly and NewsWhip, the more standardized report of pageviews and visits are available in analytics tools like Omniture, google Analytics, Facebook Insights, and twitter Analytic. Usage of multiple data sources is also common among news organizations. The Huffington Post, an advertising based business model, uses an Omniture dashboard, which includes traditional metrics like visits, pageviews, and unique visitors as well as referrals from specific sources and video data. They also use a customized version of Chartbeat tracking real-time split testing where different versions of an article (copy, headline and/or pictures) are tested to see which performs best. Importantly, even in the most data-driven analysis, decisions often involve qualitative assessment. It’s a mix of art and science. It’s also important to ensure personal assessment is included especially in terms of how the data is leveraged for both short-term and long-term operations. As the number of screens and ad impressions continue to proliferate, advertising dollars are moving from traditional to digital environments with Forrester predicting that overall digital display advertising dollars will grow from an estimated $20 billion in 2015 to $38 billion by 2019. Publishers’ ability to leverage real-time data will be key to capturing their share of the digital ad spend. According to a commissioned study Real-Time Data Analytics: Empowering Publishers to Make Better, Faster Decisions, which was conducted by Forrester Consulting on behalf of PubMatic, 67% of publishers – large and small – believe that real-time data is important to their efforts, and 62% find that it leads to an increase in revenue, yet only 27% report receiving data in real-time. Real-time data drives publisher growth. 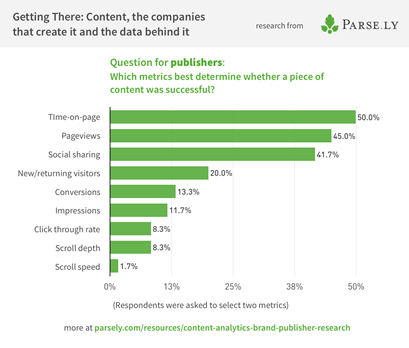 However, the vast majority of publishers do not receive their data in real time. As publishers grow, so, too, does their appetite for data and their need for analytics and insights that are actionable. Aggregating multiple data streams into one holistic view remains a challenge. On behalf of PubMatic, Forrester conducted a survey of 110 media analytics professionals responsible for revenue management and decisions for analytics reporting tools. Sixty of the surveys were from US media and publishing companies, while 50 were from the UK. For the purposes of this paper, small publishers are defined as those with fewer than 500 employees, representing 43% of the respondent base, and large publishers are those with 500 or more employees, representing 57% of the total respondents. The Washington Post and New York Times, two of the most respected brands in journalism, recently announced they will share some data with their journalists. The mere fact that this announcement made news alludes to how fledgling this practice is in newsrooms around the world. Despite the growing use of data to inform ever-more business decisions, there has been hesitation to leverage data on the editorial front for a number of reasons. Writing to the Data – Sort of like the axiom “teaching to the test” in education, it’s understandable why a newsroom might resist the widespread practice of making analytics part of daily life, as it might distract journalists from their editorial mission and lead to the production of lowest-common-denominator content. Pay-for-Performance – Even further down the path of being slave to the data, this one can be a morale-killer: The line between sharing data with journalists and rewarding performance (however that might be defined) can be too blurred for comfort for some publications and a morale-buster for staff. Ambiguity Over Which Metrics Are Even Helpful – This is not a small issue. Depending on the publisher’s editorial mission and goals, simply measuring shares or page views might do very little to illuminate the newsroom on what resonates with audiences – even if it’s of interest to the business teams. All of the above has understandably tempered newsroom’s excitement over integrating data analyses into the daily workflow, even as more journalists become fluent in the discipline. Journalists are critical thinkers. They investigate and analyze in the routine execution of their work. A little bit of data is not going to intimidate them. But above all else, journalists are storytellers. For a living. At a certain point, they live in service to the story as much as they do to their audience. Data, in that case, is only helpful insofar as it can help a journalist tell the next story. And the truth is, journalists routinely employ data of this nature in the newsroom, and have for some time – it just hasn’t always been of the quantitative sort. Think of the five most prevalent stories in the news right now. How many of them are “breaking” stories and how many of them are ongoing coverage and commentary of stories several days old? Every major news story generates plethora of possible follow-up stories, each of which can go down any number of paths. In addition to chasing down those paths and lining up additional sources, journalists also have the trajectory of audience reaction to guide them. And quite often, they use it. We’re seeing this dynamic play out now in the coverage of the Charleston shooting, as that story has now shifted to a debate over the removal of the Confederate flag from government buildings in South Carolina. In the wake of such a horrible tragedy, was this the logical follow-up story? As the conversation accelerated on social channels (and yes, the Comments section of news sites), audiences answered that question loudly and clearly. These days, news stories are routinely developed and told through this feedback cycle. But even in this context, an aforementioned tension arises: How much is journalism merely “following the data” versus shaping it? How much of both should it strive for? The resulting balance probably looks an awful lot like the appropriate balance between cognizance of the “hard numbers” and sticking to journalist instincts. In which case, more publishers should encourage (but not force) their journalists to investigate all the data, both qualitative and quantitative, at their disposal so as not to rule out a potentially powerful story. None of that can happen unless the data is made available to them first. Making business decisions without good data to back it up is simply guessing. We know that metrics are a requirement in our daily lives, but are we using the data we need or just the data we have access to? As they relate to an advertising campaign, metrics help track campaign activity in order to effectively plan, implement, and evaluate both current and future campaigns. With digital advertising, campaign owners can track and optimize exposure, response, and overall effectiveness of ad campaigns. Digital advertising offers the opportunity for marketers and agencies to easily gather these metrics so that they can better evaluate and understand ad campaigns. This data becomes even more critical when course correction is required to improve campaign performance in-flight, as both marketers and agency partners must be able to make strategic decisions based off a single source of truth. While these metrics are currently available, gathering all of these metrics that live in disparate places to create actionable insights is very labor-intensive for brands. Simply having the data for each of the stages of a campaign life cycle in one platform makes these insights easier to be applied to campaigns in-flight and in the future. At comScore, we’ve partnered with numerous clients to provide a solution (comScore Digital Analytics®) that decreases manual reconciliation, provides any team within an organization with data where it’s wanted and needed, and allows raw data to be ingested so that specific metrics don’t have to be determined before putting that data into a platform for actionable insights to be learned. When advertisers and their agencies run campaigns across a brand portfolio, media plans often consist of many disparate sets of third-party data including metrics from display, search, social and video advertising sources as well as any pre-testing, in-flight audience measurement and post campaign analysis. With all these data sources scattered across a multitude of ad platforms and formats, even simple performance analysis can be cumbersome and extremely time-consuming. A platform-based digital analytics solution that has the ability to ingest raw data provides an environment where various kinds of data collected by marketing teams can be consolidated and analyzed. This flexibility allows all types of data, such as sales, customer, etc. 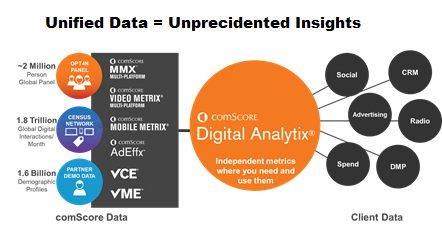 – whether it’s comScore data or from other third-party solutions – to be analyzed within one comprehensive solution. Because the tool houses and manages all of the raw data, it removes the manual, labor-intensive process of reconciling data from multiple sources through the enterprise. When solutions force clients into pre-determining metrics, they have very little flexibility to make changes later down the road, which is both unrealistic and frustrating for companies that have ever-changing business needs and goals. A digital analytics solution that leverages raw data enables a brand to determine their desired reporting metrics at the time of analysis, and ensures that the tool can grow with the brand as their metrics needs change over time. Every solution should provide actionable insights, but with the addition of data from across the enterprise, brands have access to a previously untapped data resource. Once ingested into the tool, previously siloed data sets can provide deeper insights by completing the data picture. For example, sales data could be combined with customer and web analytics data to deliver valuable insights into customer profiles, trends, and behaviors that were previously unknown. Brands can leverage existing data in new ways, resulting in new and more robust insights. For example, Kellogg’s, through working with comScore Digital Analytix, was able to collect all these metrics in a single place, which makes assessing performance both easier and faster. 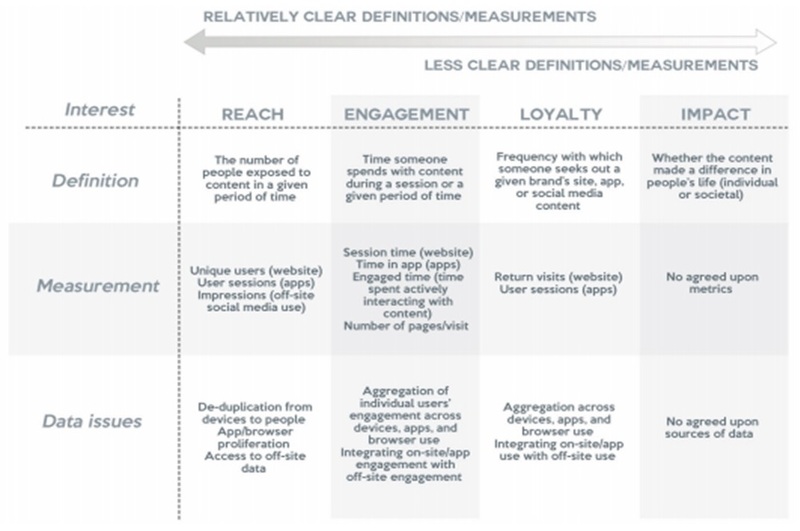 With a single, comprehensive view of campaign metrics, brands can identify what is and isn’t working to improve their digital advertising campaigns. Data is a powerful insights tool, but it must be well managed to help create the most effective digital ad strategies.